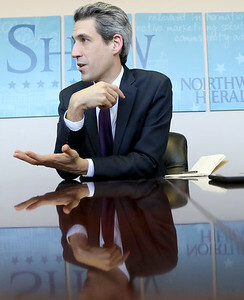 Matthew Apgar - mapgar@shawmedia.com Daniel Biss meets with the Shaw Media editorial board at the Northwest Herald on Friday, March 9, 2018 in Crystal Lake. 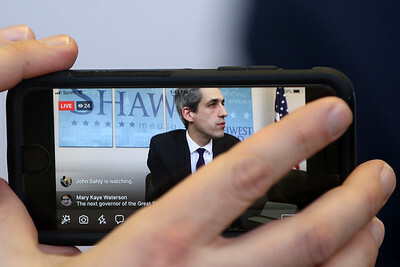 Matthew Apgar - mapgar@shawmedia.com Editor Jon Styf uses a smartphone to livestream to Facebook as Daniel Biss meets with the Shaw Media editorial board at the Northwest Herald on Friday, March 9, 2018 in Crystal Lake. 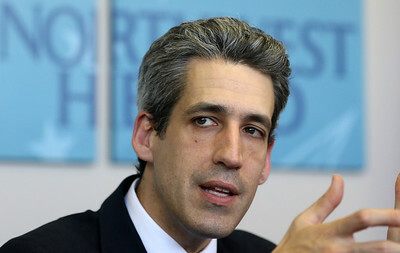 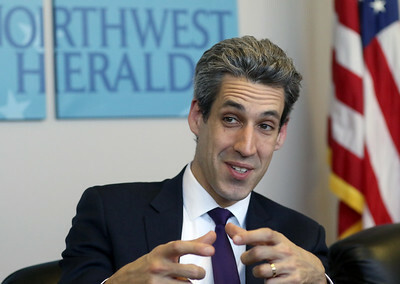 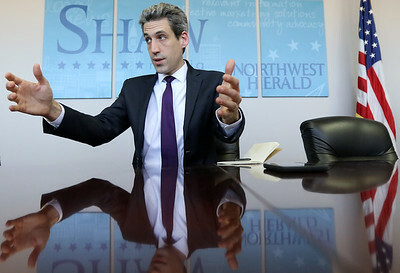 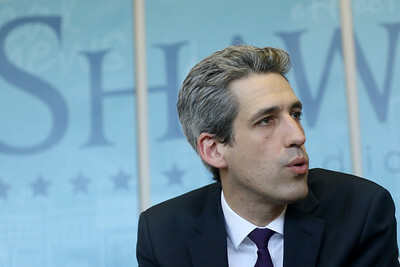 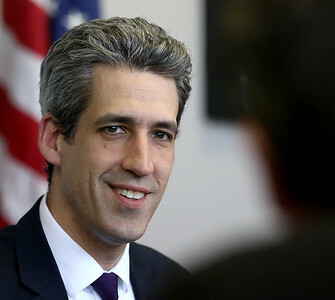 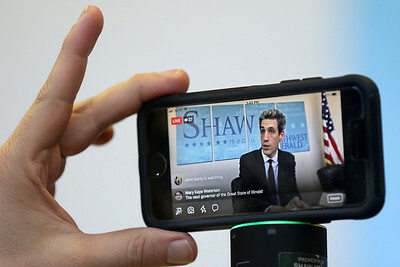 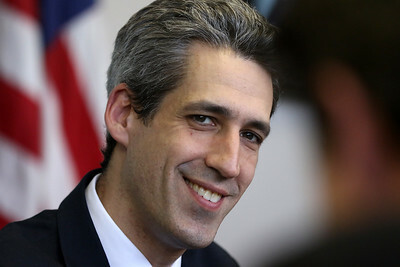 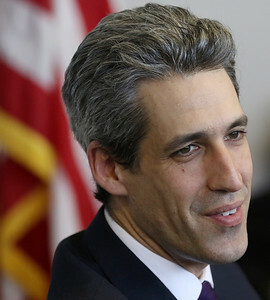 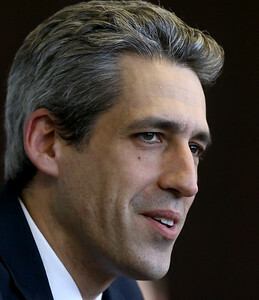 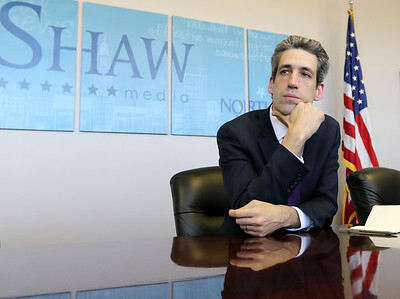 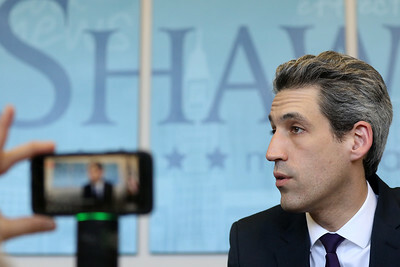 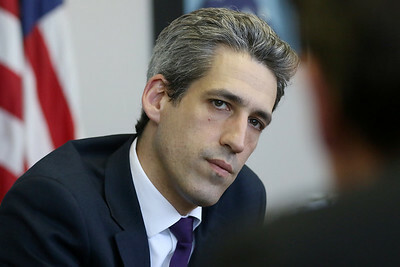 Editor Jon Styf uses a smartphone to livestream to Facebook as Daniel Biss meets with the Shaw Media editorial board at the Northwest Herald on Friday, March 9, 2018 in Crystal Lake.